For more than 24 years, Steve has been an insurance and investment advisor. His clientele includes business owners, attorneys, accountants and individuals mostly in the family market with children. He is also the advisor to trustees of a charitable trust and a guardianship trust. As Steve’s clients have gotten older his practice has transitioned more into the retirement income and planning space as well as addressing the estate planning needs to ensure an efficient and effective transfer of wealth to the next generation. Steve is also a specialist in Medicare planning and is licensed and certified for Medicare Supplement Plans (Medi-Gap), Medicare Advantage Plans and Part D prescription drug plans. Steve’s work in the community is a meaningful part of his body of work. He was Beth Sholom Congregation Elkins Park Men’s Club Man of the Year in 2017. He also started a support group for family members dealing with the opioid crisis in 2014 in Northeast Philadelphia. After transitioning from leadership in that group in 2015 Steve started a second group that continues to grow in Elkins Park. His experience in this field has lead to him being invited to speak in religious organizations, community organizations and Rotary events. 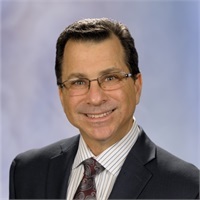 Steve acquired his Associates degree from Suffolk Community College in 1984, a Bachelor of Science from Bernard Baruch College in 1990 and received his Life Underwriting Training Council Fellow from the American College in 2001. *Series 7 7 63 with LPL Financial Services and Series 66 with Wealthcare Advisory Partners, LLC. Medicare Planning and Services are not offered through LPL Financial and Secure Planning Group.